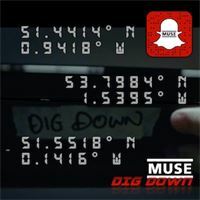 CONTEST: Tomorrow (Monday 21 August) at 10am BST, Muse will be giving away VIP day tickets to Reading Festival & Leeds Festival. Head to whichever location below is nearest to you, have your Snapchat ready and lookout for the special Muse filter. CONTEST: Tomorrow at 10am, Muse will be giving away VIP day tickets to Reading Festival & Leeds Festival.